Building, Living, Knowing: that’s the origin of Rita Elkwere’s pseudonym Ray BLK. It’s also the spirited mantra she’s carried ever since her childhood years in South London, where every kid was either rapping or making beats, including a 13-year-old Ray, who found her place in a music group that wrote, recorded and shared its tracks with neighborhood friends for kicks. Today, it’s evident that those hours spent in the garage were equally developmental as amusing; one of the group members was UK artist MNEK, whose production credits now span from Bastille to Beyoncé, and Ray’s very own golden moment manifested itself as 2016 – a nonstop rollercoaster with the release of both her biggest single “My Hood” and the punchy, R&B mini-album Durt (released independently 10/28/2016). Ray’s snowball of success has now become momentous. The Nigeria-born Brit has already scooped up the 2017 accolade of being BBC’s first unsigned Sound of… winner, just hours after her latest single “Patience (Freestyle)” popped up for online streaming. What’s next for the singer-songwriter remains under wraps, but one thing’s guaranteed: the positive, street-smart ethos represented in the BLK moniker isn’t going anywhere soon. And for those unacquainted with Ray’s building, living and knowing, “Patience” is the ideal starting place. 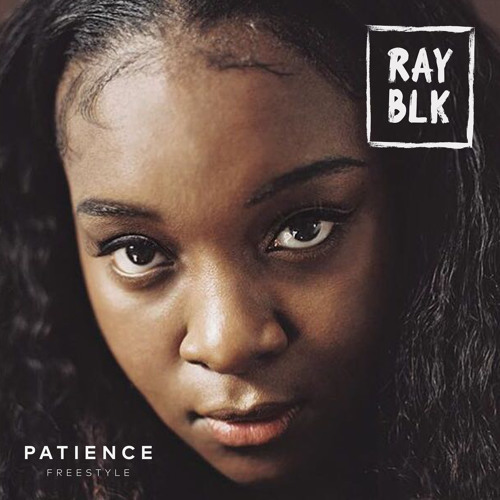 Bearing a melody that tingles along a wall-shaking bass, “Patience (Freestyle)” starts with a quintessential Ray BLK beginning – slightly old school and completely indulgent of the sound that tied R&B with hip-hop until the 2000s. Skip forward a decade and the two genres’ relationship has simultaneously shrunken and sharpened. R&B separate from pop music hardly has a place in the mainstream flow where vocal technique and a distinct musicality fall secondary to one’s ability to computerize a memorable, instrumental chorus. There was something telltale about the way Chris Brown ditched crunk and auto-tuned himself into eurodance ten years ago. And if released today, Mary J. Blige’s “Be Without You” wouldn’t last more than a month on the charts, despite its 15-week run as number one back in 2007. But all hope hasn’t vanished. Pasting back together the lost connection between hip-hop and soul is an increasing number of indie musicians, largely hailing from London and Toronto, who seem to value their artistic vision more than any fantasy of becoming Reebok or Nautica’s latest campaign face. Without hesitation, Ray acknowledges the way young artists prioritize stardom rather than education. 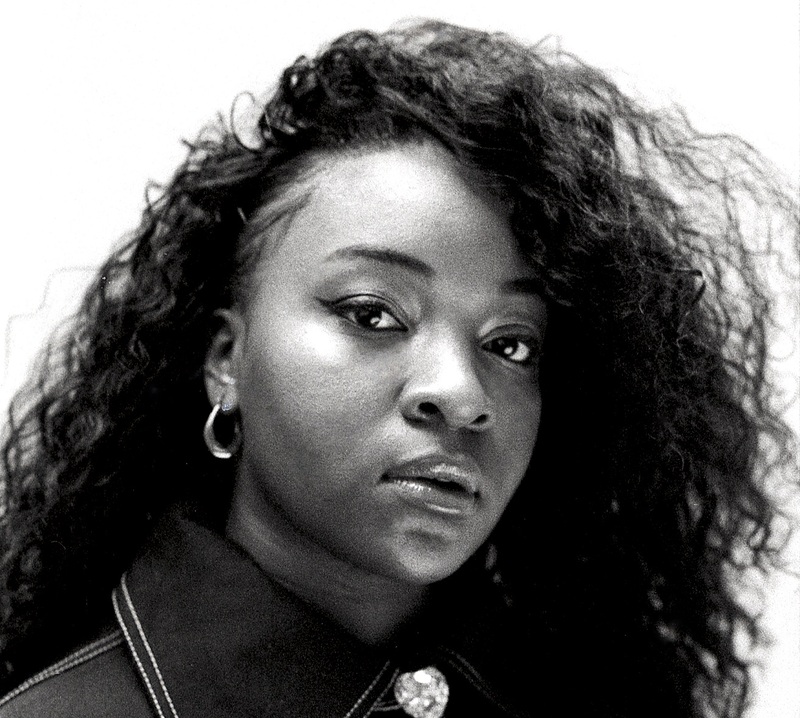 It’s lyrics like “don’t wanna study wanna make it on the A-list” that reflect the “L” in Ray BLK’s name, an alias predictably backed by a bachelor’s degree in English Literature. And although Ray’s voice – coy and contralto – demands attention, her words tease the devilish temptation to be the center of attention. So is she throwing shade? Definitely – but lightly so. Her observations aren’t especially original; it’s standard for rappers to spit bars about fame as a demon, or the simplicity of slipping into destructive behavior. But Ray isn’t a rapper, she’s a songstress – which is why “Patience (Freestyle)” and its truth is so worthy of approbation. Her eagerness to approach storytelling with a hip-hop sensibility makes her a soul to be reckoned with. The second verse of the track is a fast-paced, 30-second rhyme reminiscent of the poignant rapping that Lauryn Hill graced listeners with back in the day, embellished in Ray’s south London accent and prerogative. Leaving no room for euphemistic interpretation, she parallels signing a record deal with an array of terrors – rejection, paralysis, death. Unlike any previous release from the 23-year-old, “Patience (Freestyle)” is a sentiment candid enough to stifle those who question Ray’s insistence to remain sovereign. Although the chorus of “Patience (Freestyle)” is a hi-hat-heavy amalgamation of its two verses, the refrain shortens Ray’s narrative into a familiar idiom: all that glitters isn’t gold. Forever it’s felt like this exact phrase has neatly ribboned the message of any song it appears in, and in this instance, Ray’s lyrics are not unlike that of Kanye West in 2004, when his now-classic track “Family Business” charmingly reminded everyone about the importance of ancestral relations over diamond rings. As she flutters into a higher timbre during “Patience (Freestyle)”’s final moments, it’s ironic of Ray – a forbearing musician whose image is nested in the pursuit of knowledge – to channel an icon who’s capitalized on being pop culture’s most successful college dropout. Still, regardless of any laughable inspirations, it’s expected that she’ll continue offering up honest R&B similar to that of “Patience (Freestyle).” And if she does, there will probably be more songs about the irrelevance of immediate fame and fortune – maybe she’ll even give into signing a record deal like Kanye.